After Prescott we did some shopping in Maiden Rock, and the worked our way down to Pepin for lunch at the Harbor View Cafe. And that name is perfect, just look at the view they have of the harbor! What a cute place. Just enough tables, a long bar and a menu written on a chalkboard. There were lots of options and it was hard to decide. 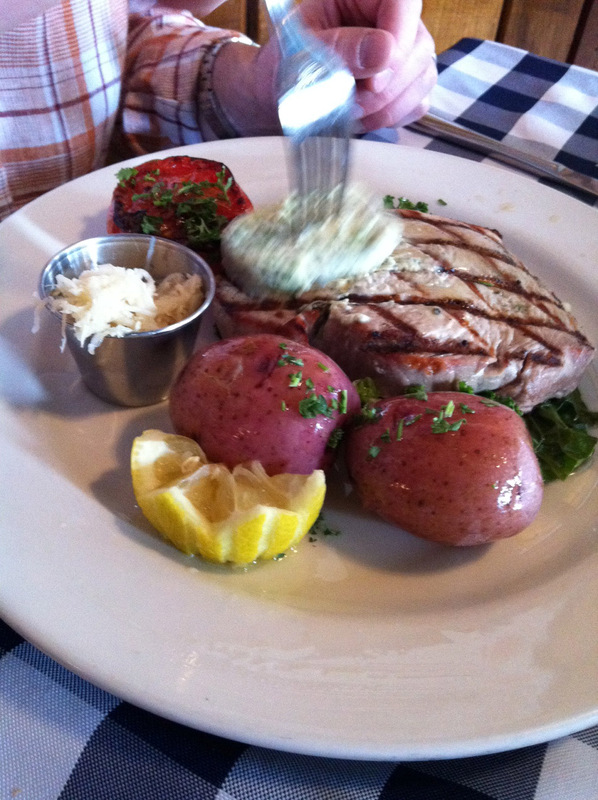 Eventually Husband went with the Hawaiian Ahi (which was slightly overcooked)…. 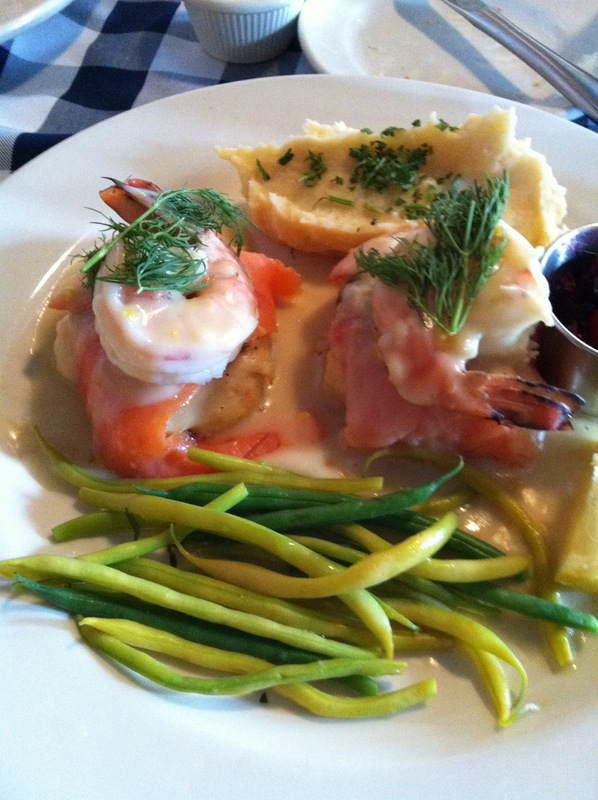 and I went with the fish cakes (wrapped in salmon, topped with shrimp, served with root mash). We’ll just saw it was more than enough food. And that yes, I passed on Ice Cream at the Nelson Cheese Shop. (Our next stop in Nelson, WI). But isn’t this back room amazing? They serve wine. Yes, wine! After our fill of lunch and goodies at the cheese shop it was time to turn north and back into Minnesota. We stopped at Pepin Heights (in Lake City, MN…. go figure) and picked up apples (Honeycrisp & SweeTango) and cider. We also stopped at Rabbit’s Bakery. I ordered a large hot cider (a cold weather favorite) and a loaf of the lifted corn bread. It is a yeast corn bread and was really amazing. So good this time of year, heated up and smothered in butter. Yum. We made just one more stop outside of Hastings so I could buy some gourds for the table, but I never did get an apple cider donut. Not that I had room for it. Guess that will be next weekend when we head back down to the Carpenter Nature Center for their Apple Fest. I love this time of year…..
looks like a yummy day!